to throw into the mix of the typical labels we all generally see at this time of year. 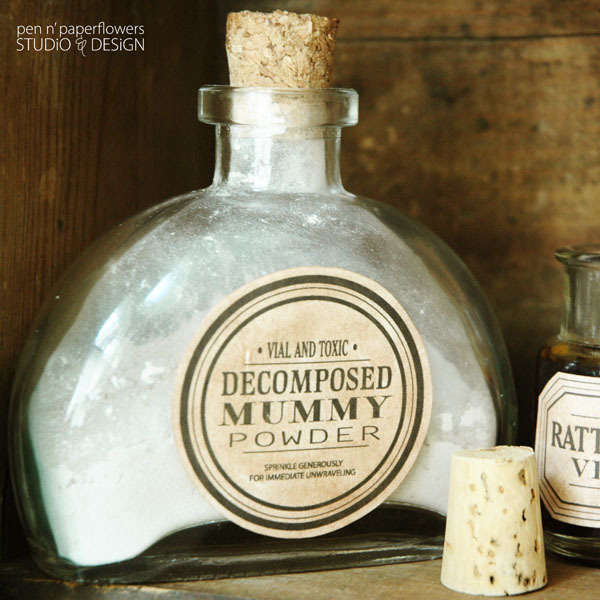 "Decomposed Mummy Powder" and "Dehydrated Tongue of Toad Crumble"
you can essentially print, trim, stick on the labels and call it done. Trim to size using scissors, paper trimmer or craft punch. Use double-stick tape to secure to various bottles of choice. 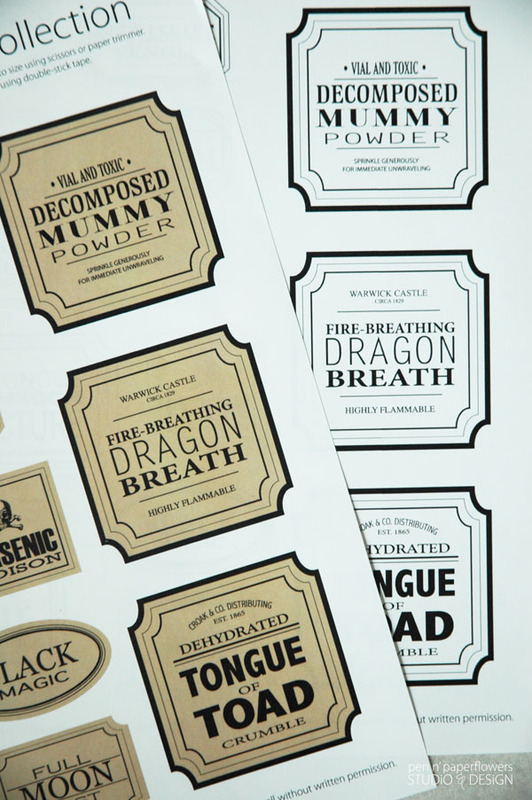 Print the black and white edition of the Apothecary Jar Labels onto regular printing paper. 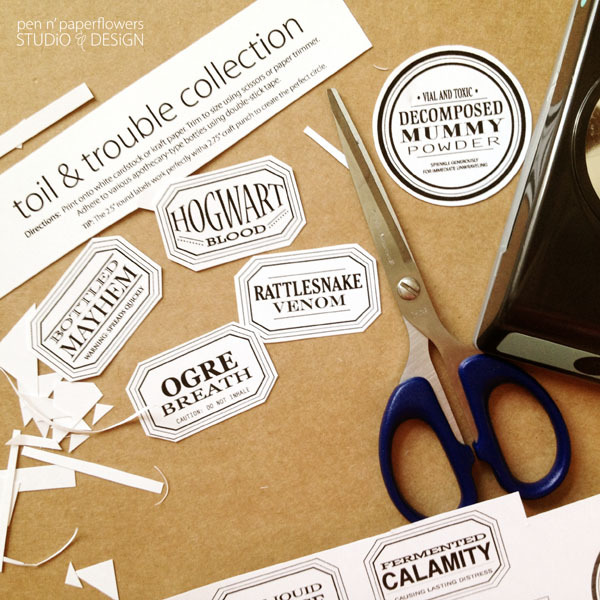 add some dimension and character to your labels. 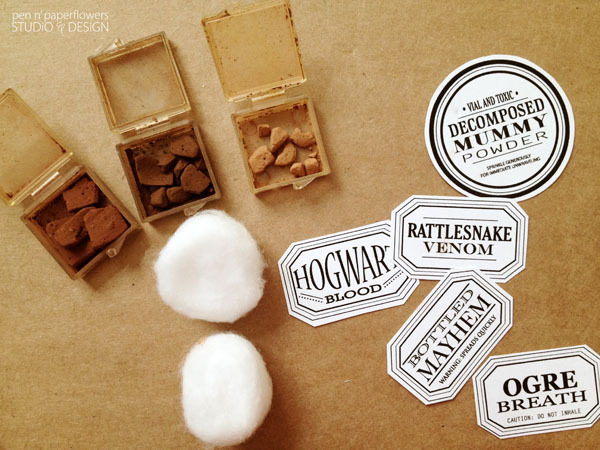 Directions: Using a cotton ball, rub several different shades of brown chalk to your labels for an aged look. 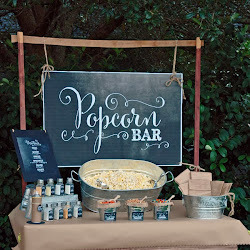 Chalking is one of my favorite crafting techniques for "aging" things. You may remember the labels I used in the "Unlock the Spirit of the Holiday Season" dessert table I designed? 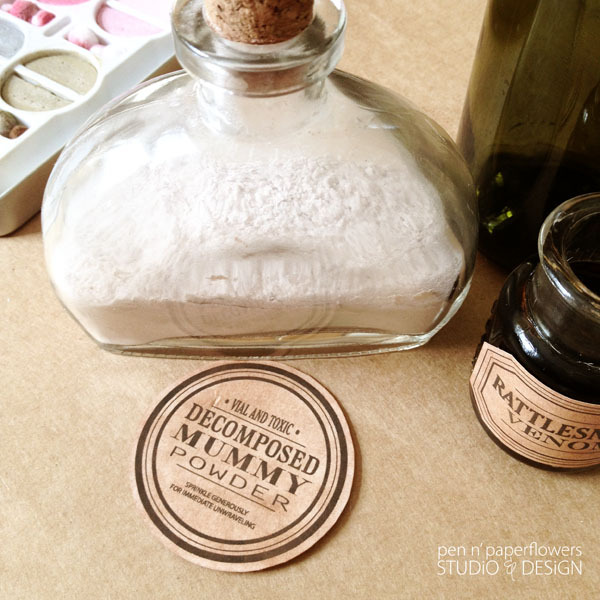 I used chalk on the edges of those labels using a q-tip and then rubbed them with a little bit of light brown chalk. If you've never tried it, I hope you're encouraged to do so. If not for this project...for something in the future. allowing you more versatility when choosing your bottles. 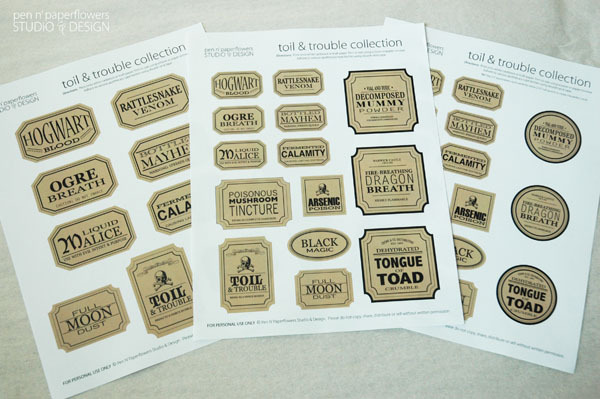 Those of you with the Silhouette™ could print these onto that lovely NEW silver foil paper! PLEASE come back and share your photos. I'd love to see the creative things you do with them!!! I first printed my labels onto a brown paper bag and loved the results. I found labels coming undone every time I turned around. Also, it's much more time consuming trimming the brown paper bag to 8.5x11 for feeding through the printer. the brown paper has to be backed and taped to a sheet of cardstock in order for it to feed properly. And there are no guarantees it still won't jam your printer. i can't see a link to download. is it just me? So sorry my sweet friends...the links didn't save in the original post today. The problem has been fixed - thanks for letting me know. 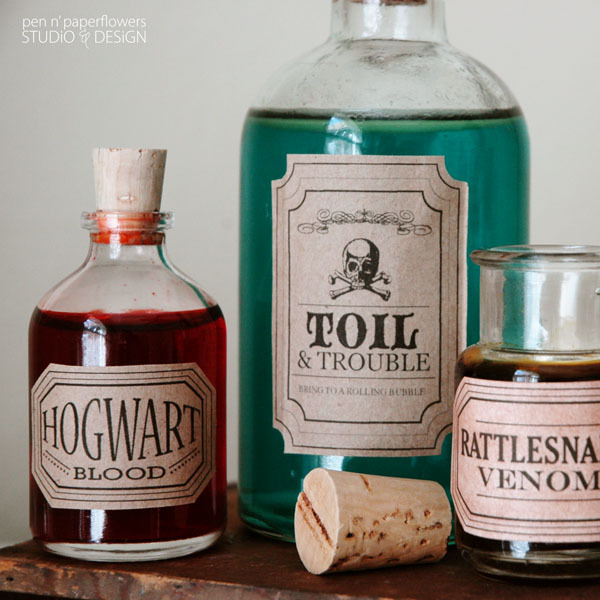 awesome right on time for Halloween Last minute party planning. thank you! Thank you so much for this post. I want to let you know that I posted a link to your blog in Creative Busy Bee Craft Inspirations, under the Page 2 post on Oct. 06, 2012. Thanks again. 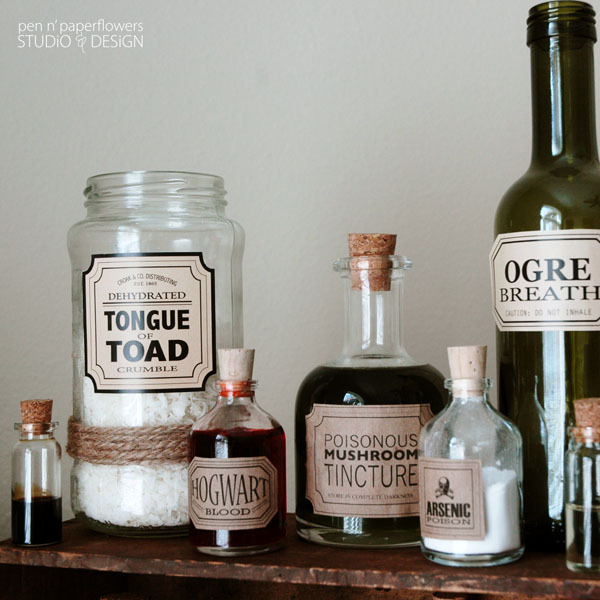 These labels are just brilliant. 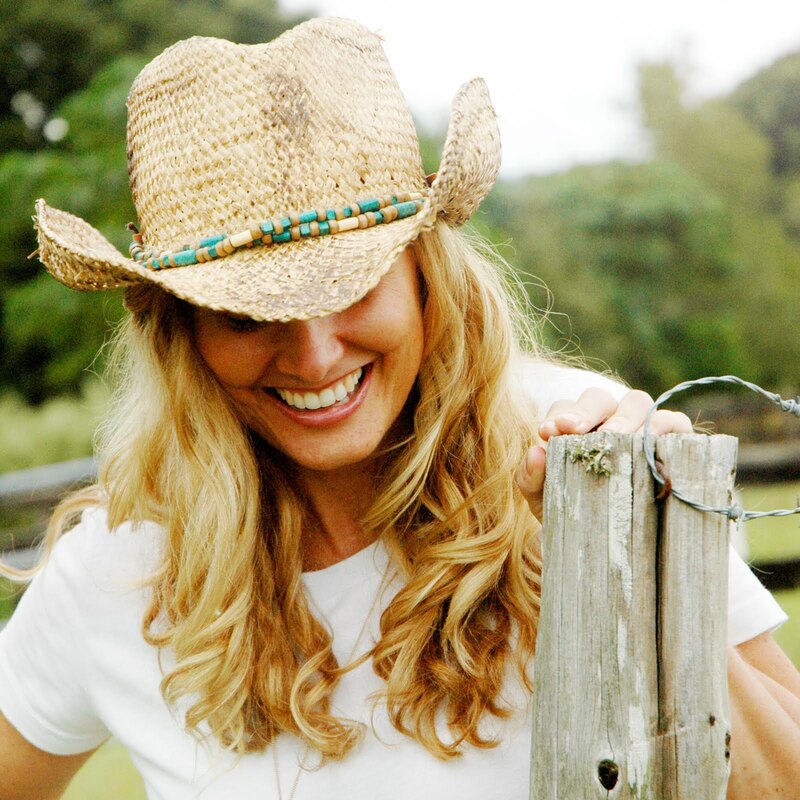 I hope you don't mind that I linked you from my blog, Spark of Chatter. YOu can find the post here. Thanks for sharing your work! are these labels still available??? LOVE them but the links say there are no documents :( Thanks! 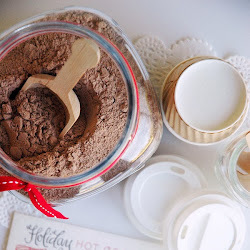 I hope you enjoy using them and thank you for visiting my blog!! I am interested in these - are they still available??? They are just too awesome! Thanks. Thanks for asking and I hope you love using them!! 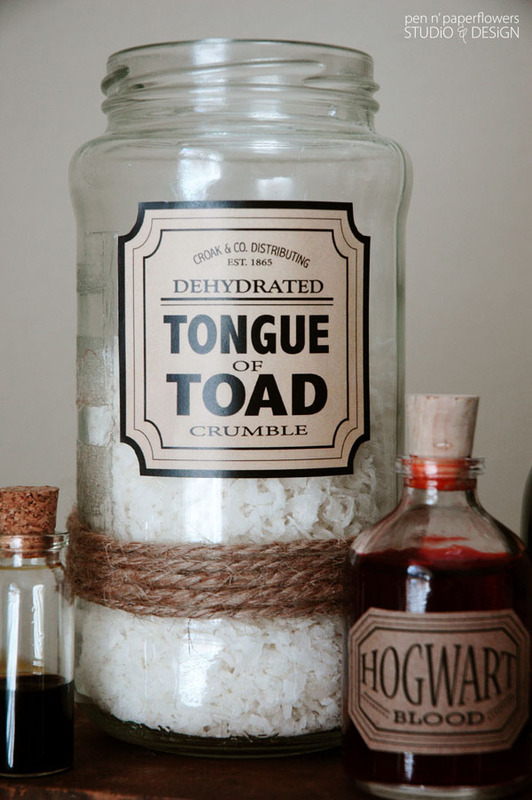 I just came across your blog and I am planning my sister's bridal shower with an HP theme. 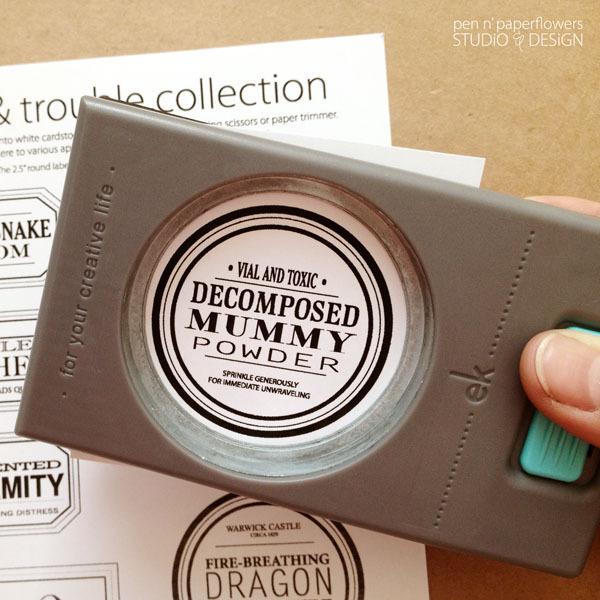 I tried to access the Etsy link but it no longer works, are the printables not available anymore? 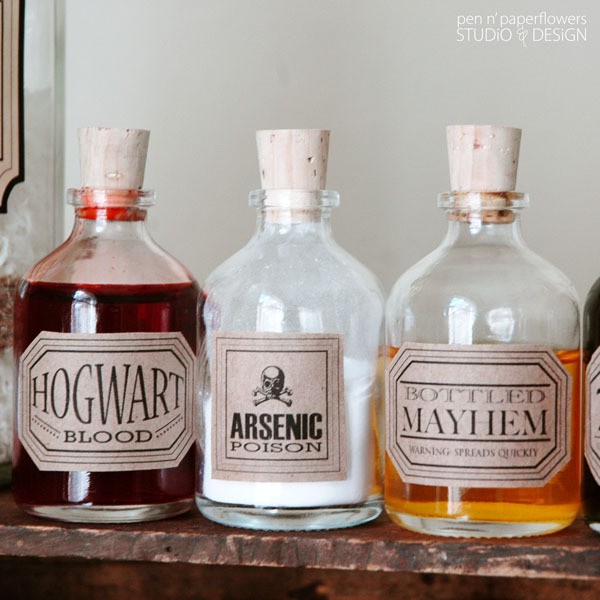 I am planning my sister's Bridal Shower with a Magical and HP theme. Are these still available? I tried your etsy shop but could find it. 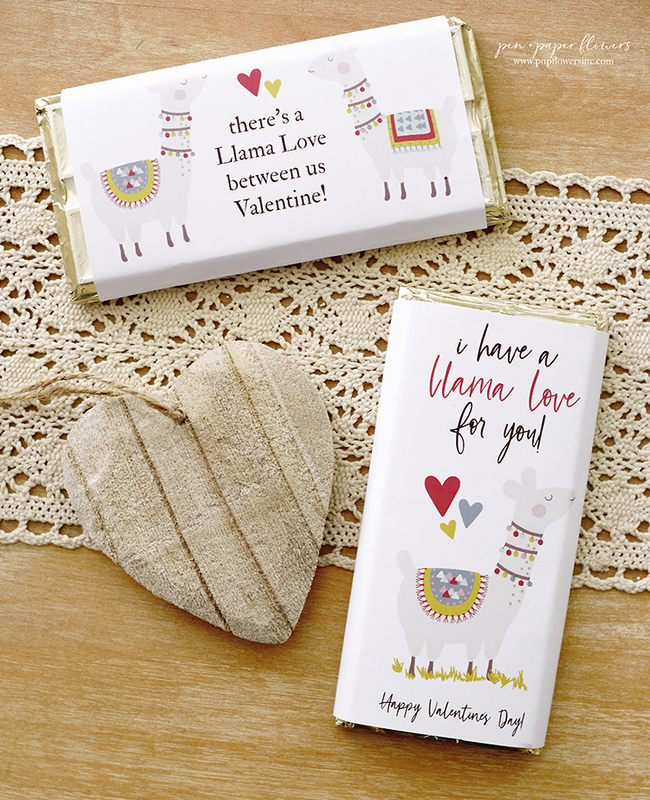 The labels are still available, they just aren't "active" in my shoppe since we are out of that season right now. Feel free to contact me via Etsy and I'll just set up a custom listing for you.